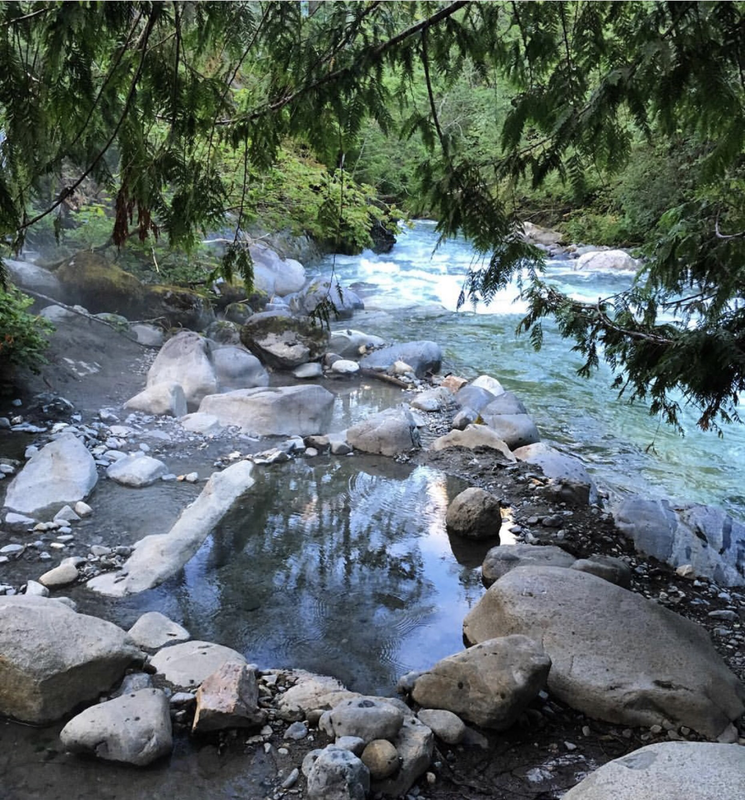 General Description: Sloquet Creek Hot Springs​ is a beautifully natural hot spring located in the traditional territory of the Xa’xtsa Canada. Sloquet boasts an uncultivated hot waterfall that fills a small pool and cascades down a lush fern and mossy wall that feeds several larger shallow sandy bottomed rock lined pools on the bank of Sloquet Creek. Sloquent Hot Springs offers nice private campgrounds. Clothing is required. There is a fee to soak. Location: From Vancouver, British Columbia, Canada is 250 kilometers or about 4 hours and 45 minutes to drive to the hot springs. 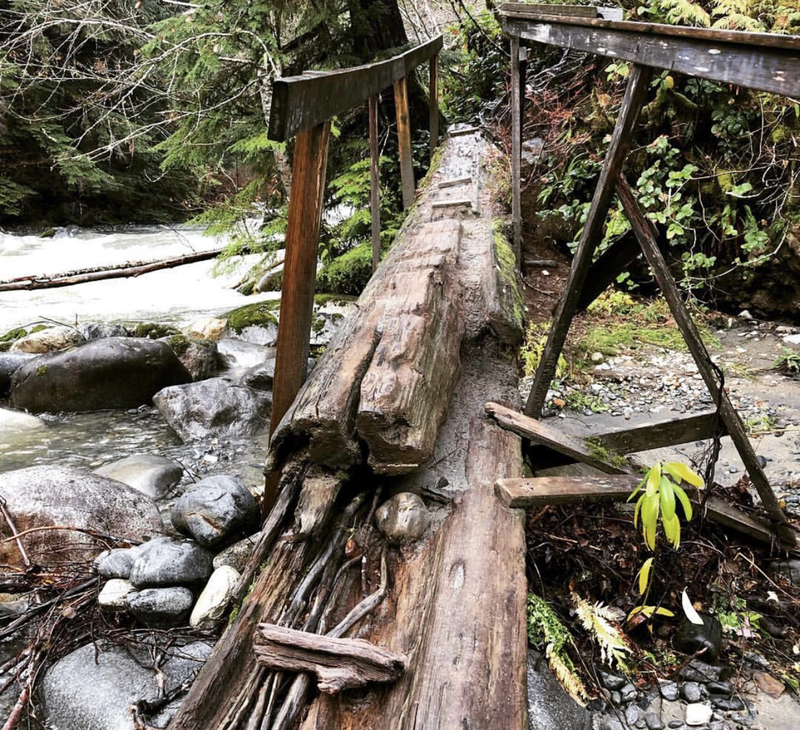 Accessibility: Sloquet Creek Hot Springs​ is accessible. The road is around 85km of gravel Forest Service Road. There are active logging trucks using the roads. Parking is available for day use visitors. The trail to the hot springs is quite steep and the approach to the pools is by natural steps formed by tree roots. Hot Springs: ​Sloquet Creek Hot Springs mineral water from the spring is close to boiling point upon leaving the ground. It cools as it makes its way to the creek. Sloquet boasts an uncultivated hot waterfall that fills a small pool and cascades down a lush fern and mossy wall. A series of hot spring pools are formed in the sandy bottom and rock walled on the bank of Sloquet Creek. Clothing is required. Bring your bathing suit. Hot Spring Tips: ​Sloquet Creek Hot Springs has day use. There is a fee for day use. The native Xa’xtsa people request that people using the pools always wear bathing suits and never consume alcohol while in the pools. Sloquet offers camping. There are 20 campsites. Camping guests have all access to the hot springs. Bring enough drinking water for your stay. The creek has great water, but will require treatment before consumption. Sloquet is quite remote and has few facilities. The closest store is in Pemberton. Pets are not allowed near the hot springs. Sloquet gets alot of foot traffic especially on weekends. Youtube Video on Sloquet Hot Springs is below.